9. In 2008 a WalMart employee became an invalid in a truck accident. When the employee won a lawsuit related to the accident, WalMart sued the invalid employee to return the $470,000 in insurance payments made by WalMart. As if WalMart’s future depended on the return of that money. in an environmentally fragile area near Mexico City. (WOW I don’t think we are going to see TV ads cutting back prices). 6. The manager who said that female cashiers need to go outside and pick up carts because they need the exercise. 4. All of the above so far and they dump Paula Deen – really? 3. Advertising generic drugs at $4/month and then arguing with me because my doctor wrote for 3 pills a day and 2 is standard dosing (according to them) and I had to pay $10/month or go elsewhere – I went elsewhere. 2. Many people know about the parrot. A friend in Phoenix sent me a picture of a Macaw on a woman’s shoulder in the check out line. Don’t get me wrong I do like birds, I have birds, but not only could that bird poop anywhere it wanted to, conceivably if it got loose it could injure people or get injured. 1. 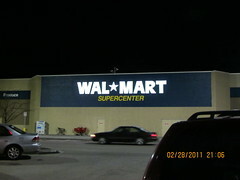 The Parrot story used to be my #1 reason – today I have a new #1 reason http://dogingtonpost.com/walmart-employee-fired-for-calling-police-to-report-dog-locked-in-hot-car/#.UeF6AG15lDM now THIS IS #1 and WalMart you just have NO CLASS! Everything I wrote here either happened to me, or I used Google by searching for WalMart scandals. Oh and BTW #WalMart – your ads for being cheaper than Publix all show items that I don’t even consider to be food. I wouldn’t buy those items. Try comparing the produce/meat/dairy – you know real food OK?